Italy is full of picturesque towns and Ancona is one of them. Here you will find many interesting historical sights and visit multiple cultural events. The town offers so many different routes and excursions, that there is no wonder why this place is so attractive among tourists, who want to see priceless architectural sights, museums with their rich collections, and sacred places with their own eyes. Loggia Mercanti remains the symbol of this town for already many centuries. It was built in the middle of the 15th century. Initially Loggia was made to perform as a square for merchants; today this place is used to store important conferences and events. The Church of Holy Maria is one of “must-see” places in Ancona. This is a magnificent example of the Roman style. The church was built in the 11th -12th centuries. During periods of war the church was also used as a fortress. 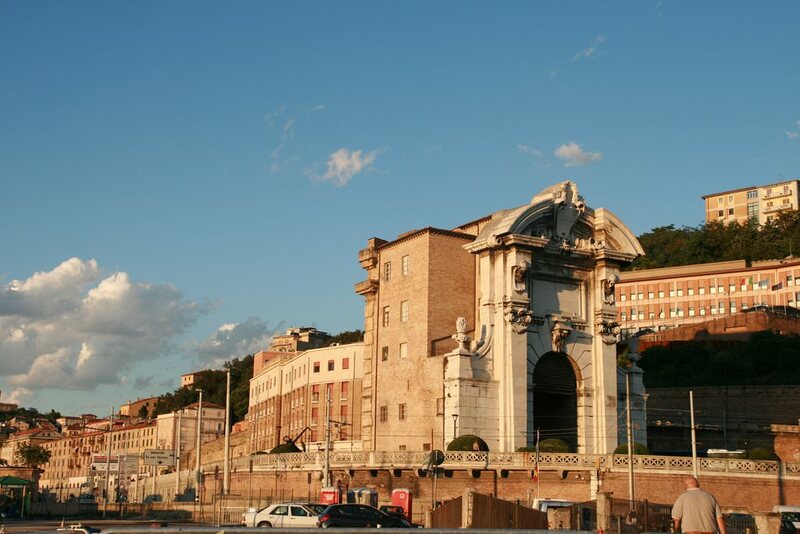 Another important historical sight is Arco di Traiano that has been built on the highest point of dam and is considered the main decoration of the haven. The monument is built to honor the Roman Emperor and is named after him. Wonderful nature of Ancona is better to be viewed in Parco del Conero. This park has some really rare and exotic trees and plants, picturesque caves and rocky cliffs. The Museum of Gomer for blind people is among most unusual cultural places. All exhibits featured in this museum can be touched, so you will not find old and famous masterpieces here. However, the precise copies allow seeing the glory of painters who lived in ancient Greece. The Homer Museum is very unusual cultural institution. It is notable for the fact that it is one of the few in the world out of tactile museums. This museum was founded in 1993 and is largely focused on people with vision difficulties. All the exhibits of the museum are to be touched by hands, the basis of its exposition being beautiful sculptures. Among the exhibits there are a small replicas of the famous city's attractions, and a lot of unique archaeological artefacts stored in the museum to this day. Fans of theatre art should visit Theatre of the Muses; it is located close to the Duomo. This theatre occupies a spectacular neo-classical building constructed in 1827, it is one of the largest in the region. Over the years, it is almost has not changed, and as many years ago, there are performances in the beautiful horseshoe-shaped hall. Today, in this theatre are a variety of cultural events; throughout the year there are a few ballet seasons, but still there are jazz and symphony concerts. Ancona is loved by visitors not only for the excursions, but also by those fond of beach holidays. The most famous city beach is Palombina, its length is more than 4 km. This beach is shallow, so it is especially popular among families with children. At the beach there are both busy tourist areas, as well as some quiet private places. 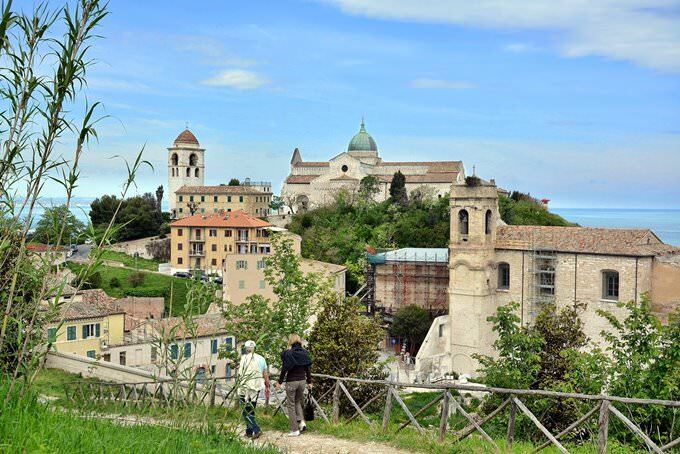 Hikers should definitely spend the day visiting the hill of Santo Stefano. On top of this hill is the charming park of the Pincio, the territory of which is filled with evergreen trees, so it will be interesting to visit even in the winter time. The park has a lot of convenient paths for walking, but also there are some specific platforms, which offer gorgeous view of the city. Ancona’s most unusual attraction can be considered Mole Vanvitelliana - historic building, which is actually a small artificial island in a shape of pentagon. This building was built in the first half of the 17th century, and for many years it was used as an infirmary. 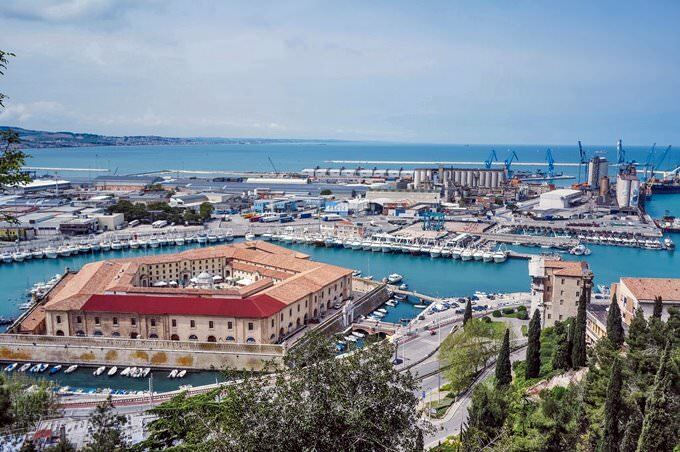 This guide to iconic landmarks and sights of Ancona is protected by the copyright law. You can re-publish this content with mandatory attribution: direct and active hyperlink to www.orangesmile.com. All about Ancona, Italy - sightseeings, attractions, touristic spots, architecture, history, culture and cuisine. 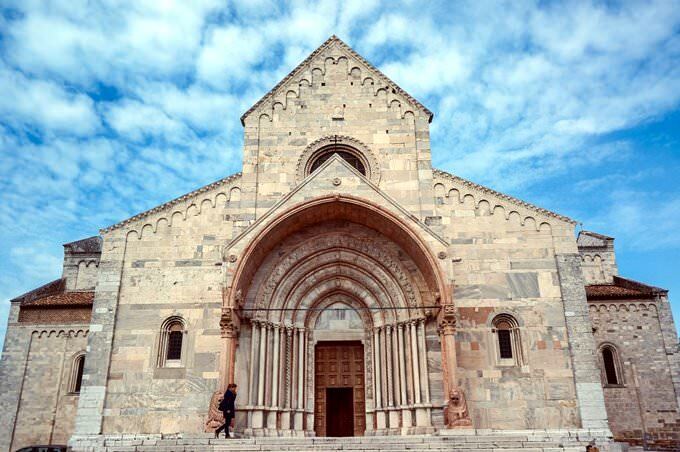 Prepare your trip together with OrangeSmile.com - find out the 'must see' things in Ancona, which places to visit, which excursions to take, where the breathtaking views are waiting for you. Planning your trip with this travel guide will help your to get the most out of Ancona in few days.